A study published in the journal of the American Medical Association also revealed that people who ate four whole eggs had lower cholesterol levels than those who didn’t. Also, the good cholesterol or ‘HDL’ increases in people who ate three or more eggs in a day. This might come as a surprise for some, but daily egg consumption can lower the risk of a stroke. A study published in the Journal of the American College of Nutrition supports the idea that eating an egg per day can reduce the risk of a stroke by 12 percent. 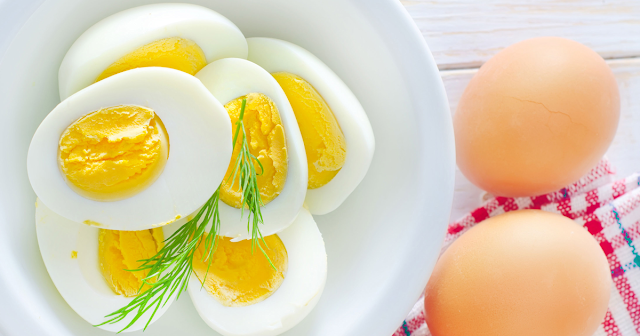 Eggs contain antioxidants like lutein and zeaxanthin, which help keep eye diseases at bay. Lutein helps fight macular degeneration (the leading cause of vision loss), and zeaxanthin protects the eyes from the damage done by ultraviolet radiation from the sun. Both of these antioxidants also lower the risk of developing a cataract. Eggs have some brain-boosting nutrients in them. They are an excellent source of vitamin B6 and B12, folate and choline, all of which help sharpen the brain. Choline helps regulate mood and memory. They also help decline the development of mental diseases among the elderly. Protein is vital for building muscles and bones and maintaining overall health. Eggs contain 6 grams of high protein. Two eggs a day can give you all the protein you need and keep you healthy. Various studies have proved that egg whites can lower blood pressure as effectively as some anti-hypertensive medications. 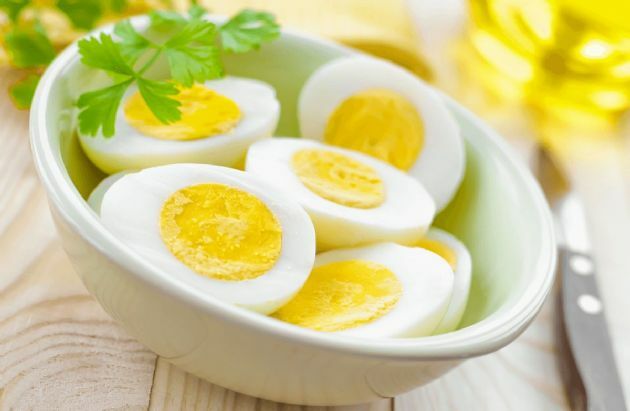 The peptides present in eggs help lower high blood pressure and keep your BP normal (120/80 mm Hg). Eggs are an excellent source of vitamin 12, an essential vitamin for the process of converting homocysteine into safe molecules. Eggs also contain vitamin A and D, which helps improve the immunity system. Eggs contain 70 calories and are easily available at a nearby store. Eating eggs in breakfast helps limit your calorie intake all day as it will help you keep full all day. Triglycerides are substances made up of three chains at joined together with transport and store fat in your body. High triglycerides levels can put one at risk of getting clogged arteries, heart attack, stroke or acute pancreatitis. Eating eggs (especially those rich in omega-3 fatty acids) can help bring down the increased triglyceride levels. With all the benefits mentioned above, eggs are an excellent source of nutrients which help the body in numerous ways. They are not as harmful as proven by many studies; however, you must eat it in moderation. Do not overboard with them. Eggs are easy to prepare, readily available and the perfect food for your body and mind.